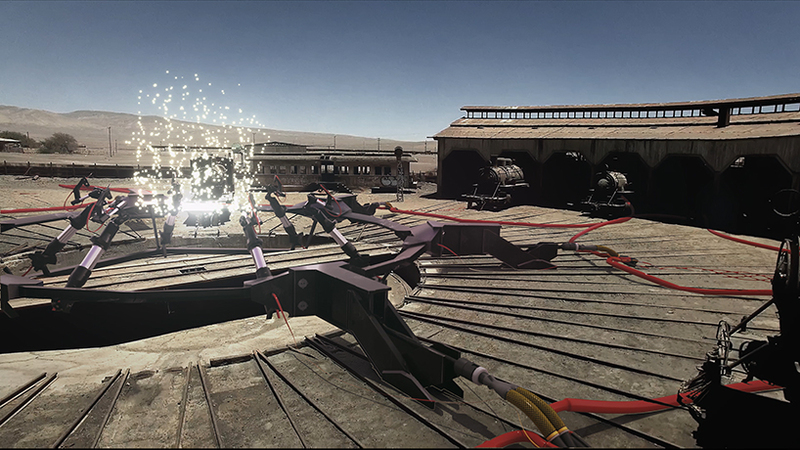 loa’s promise is a seven-minute film by joshua dawson that raises unsettling questions about the near-future, filmed on location in the atacama desert in chile. 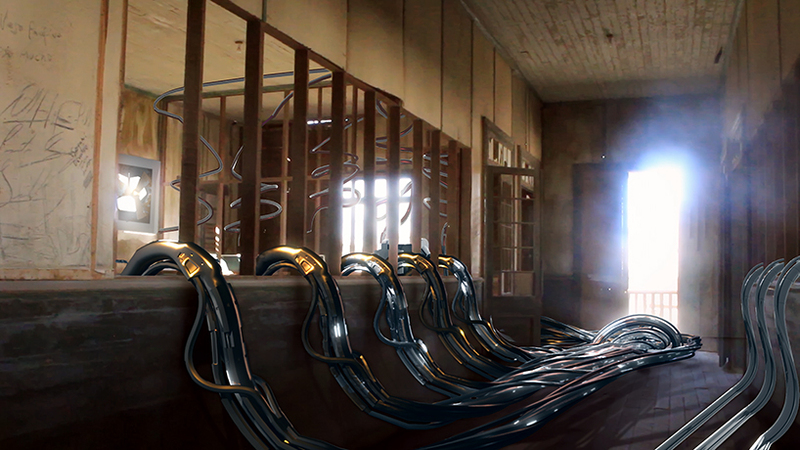 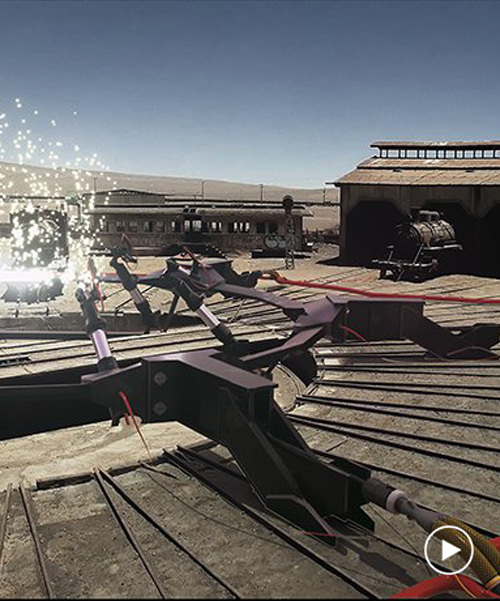 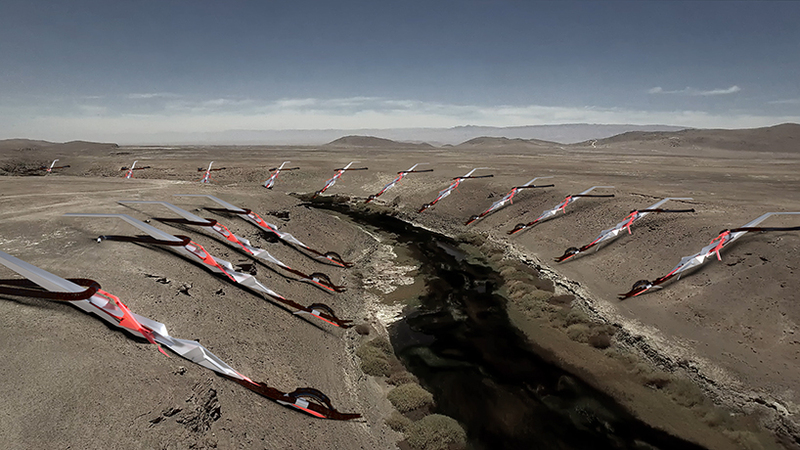 the film uses realistic renderings of futuristic technology that blend seamlessly with captured footage of real-life ghost towns, illustrating the logical outcome of people’s current attitudes toward water and other natural resources. 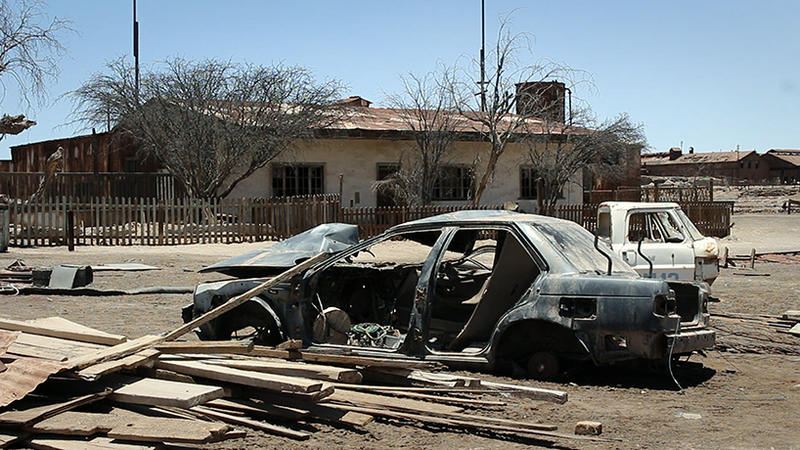 joshua dawson‘s short film focuses on chile’s arid future, a result of its tumulus political and economic past, yet highlights predicaments that could, and do, affect people everywhere in the world. 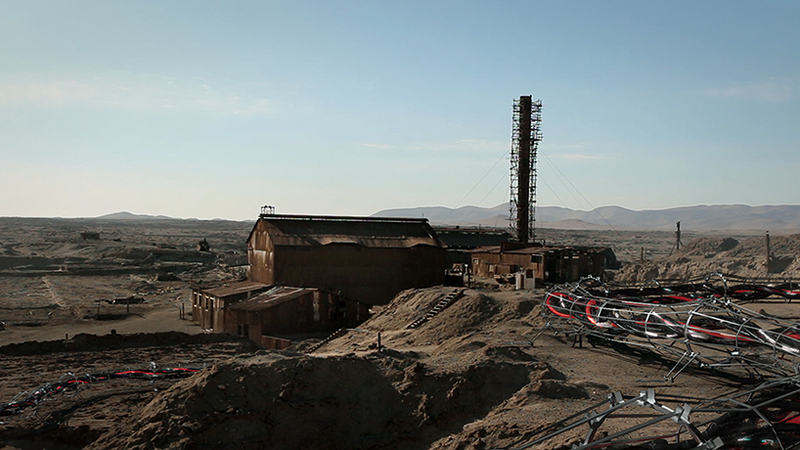 the film presents an alternate history and hypothetical future of the atacama desert, an area where various nitrate and copper mining towns have been abandoned post-mineral extraction. 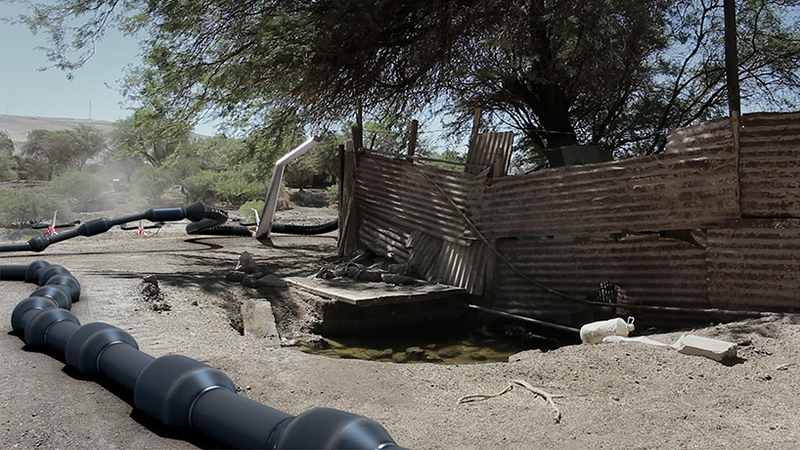 following the end of dictator augusto pinochet’s reign in 1990 and chile’s adoption of a market-based allocation system for water, several industries begun to monopolize the resources in the mineral-rich atacama desert in order to fuel their economic expansion.excessive mining activity has led to drought and the contamination of water sources in local communities, including the loa province, which the film takes its name from. 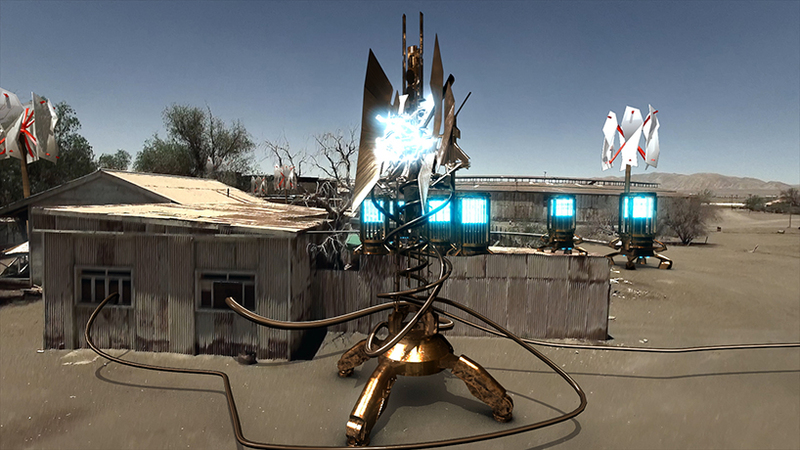 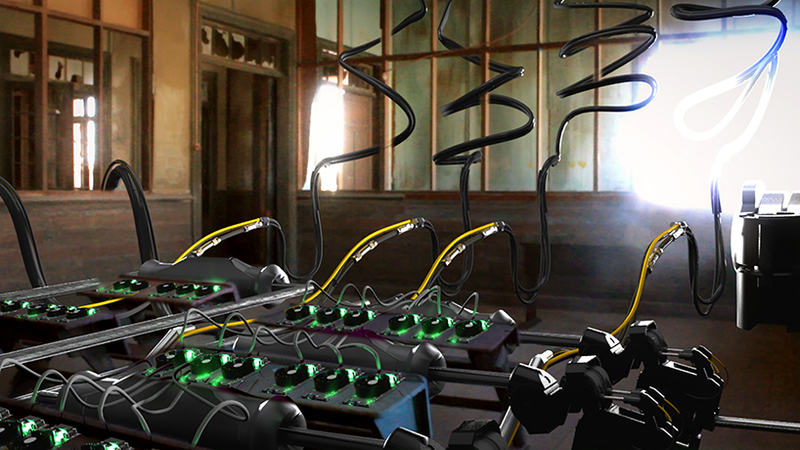 loa’s promise envisions the outcome of this situation, where the desert’s abandoned nitrate towns have been retrofitted as data centers and digital mines, to efface troubled memories. 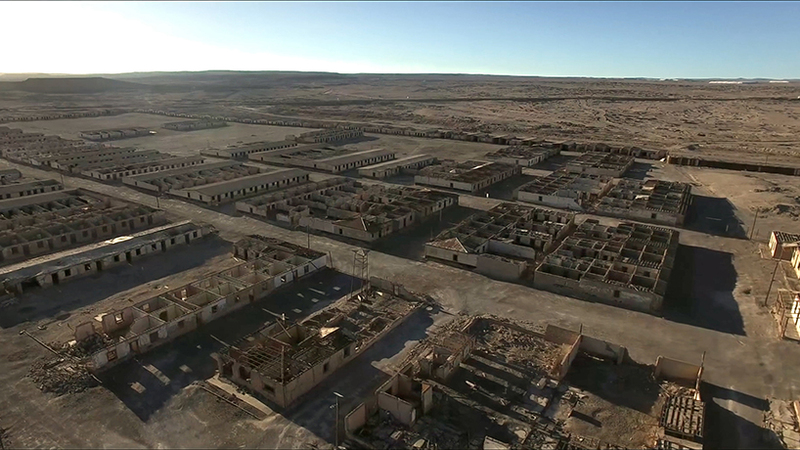 arid, chacabuco (formerly a concentration camp under pinochet) and other ghost towns take on a new purpose, the quiet hum of technology ‘drowning out the echoes of the past’. 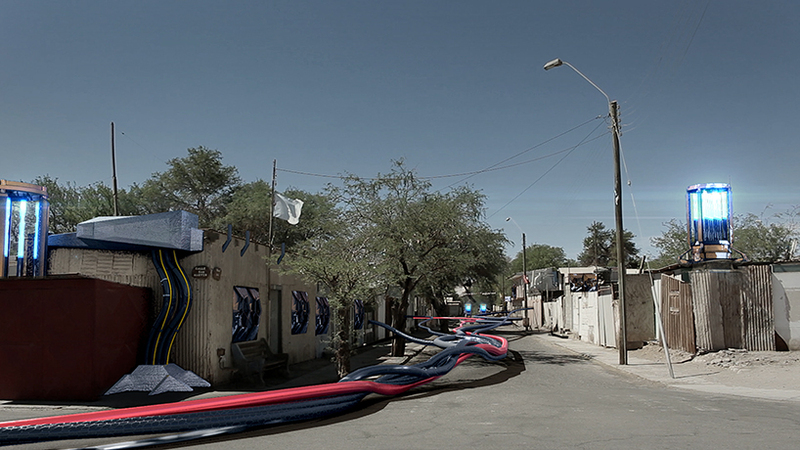 by portraying the endangered town of quillagua as threaded to a network of the region’s ghost towns, the film aims to raise awareness of the consequences of deregulated resource extraction in free-market economies like that of chile.